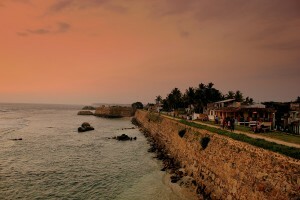 Situated in the Bay of Galle, along the southwest coast of Sri Lanka, lies the Galle Fort. 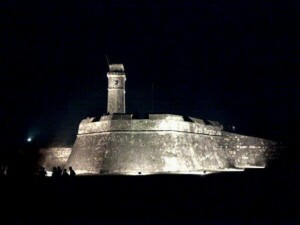 It was built in 1588 by the Portuguese and subsequently fortified by the Dutch during the 17th century. 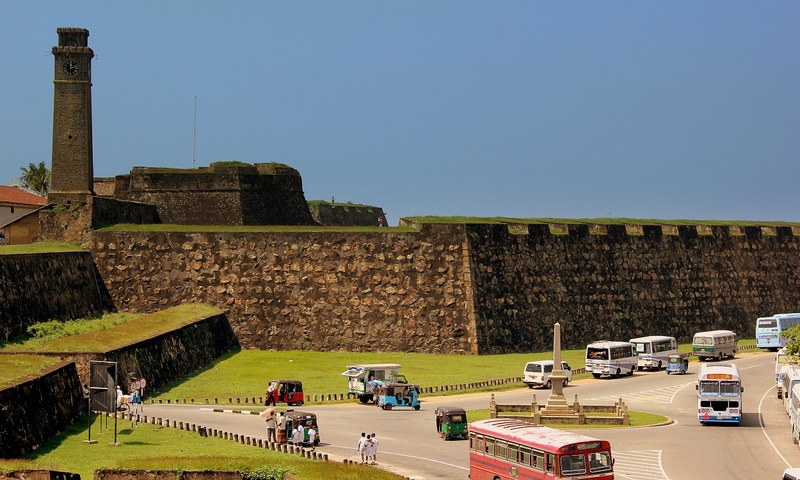 The British eventually took control over the fort in the year 1796 and it continued to be a part of the Imperial colony till Sri Lanka became an independent island nation in 1948. 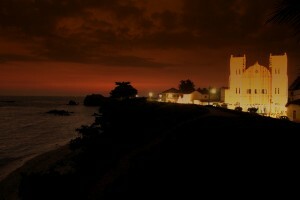 The original Portuguese structure was built out of earth and clay with no fortifications along the sea. However when the fort came under the control of the Dutch, a sea wall was added in the year 1729. The Dutch also encircled the entire peninsula with thick walls and granite bastions to improve the fort’s overall defensive capabilities. 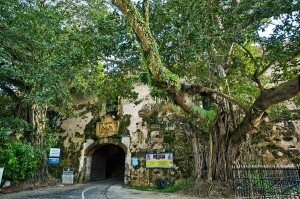 The Main Gate is heavily fortified and situated along the northern stretch of the fort. 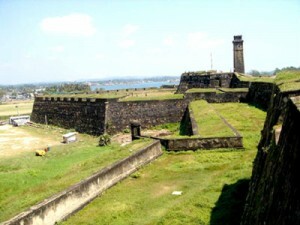 It also has a draw bridge which is surrounded by a moat and several bastions that add to its architectural grandeur. Walking along the fort walls in a clockwise direction leads to an inner gate known as the Old Gate and the Zwart (Black) Bastion. 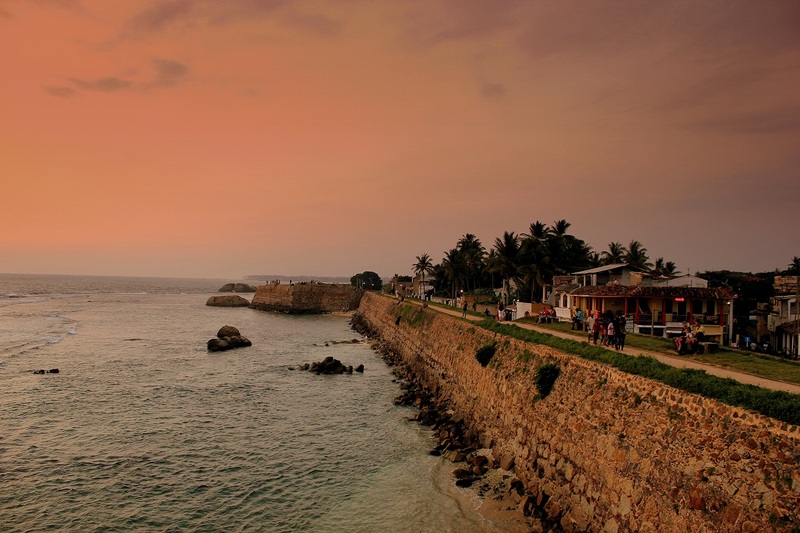 Further west along the walls lays the Trion Bastion which is popularly used today by tourists as a vantage point to watch the sunset. The layout of the fort is in the form of a small walled town, complete with road networks and streets. 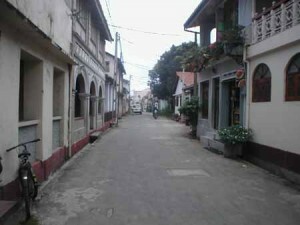 Several buildings and streets are considered Dutch legacy as they continue to retain their vintage names and characteristics. The Lighthouse Street (Zeeburgstraat) was named after a lighthouse which was destroyed in a fire in 1936. 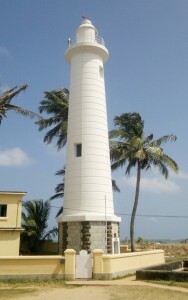 In 1938, an 18 meter high lighthouse was thus constructed along the Eastern section of the fort. 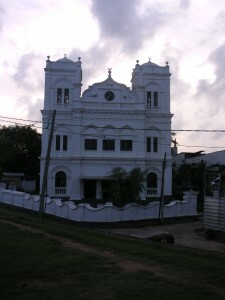 There are several heritagonuments within the fort like the Dutch Reformed Church, the National Maritime Museum, residence of the Commander and the Great Warehouse. The fort compound also contains a mosque known as the Meera Mosque, built in 1904, and a Clock Tower, built in 1707, which supposedly rang every hour. 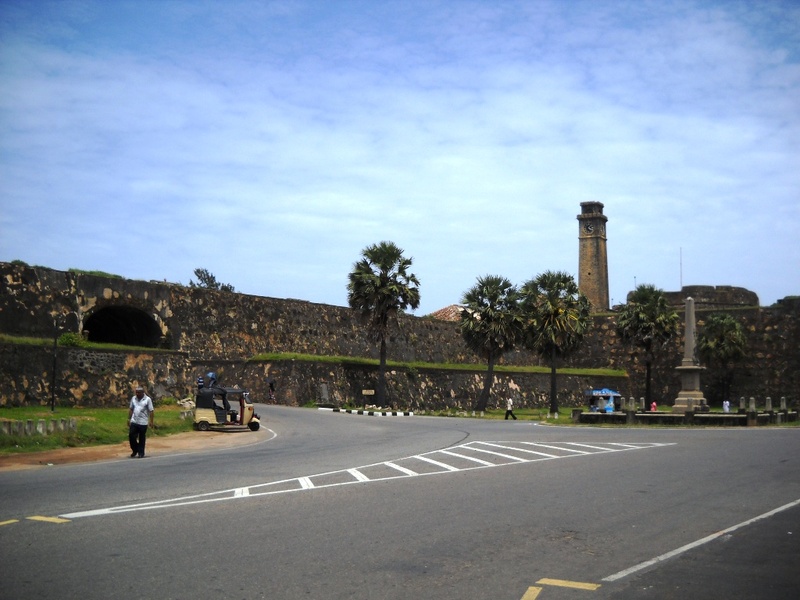 The Galle fort was designated as a (Criteria IV) UNESCO World Heritage Site in 1988. 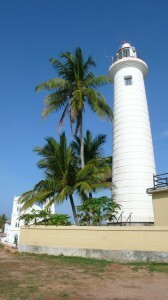 It even managed to withstand the Boxing Day Tsunami of 2004 and any damage done to it has since been restored.